For a strong control under-arm roll-on that leaves no build-up on your clothing, the L'Occitane Purifying Roll-On is the perfect choice. If you’re a guy that is active, but enjoys looking fresh and clean at all times, then you will probably relate to the extreme irritation of what a naturally higher body temperature does. Most mornings, particularly during Summer, I have to stand under a freezing shower to lower my body tempreture after a great 10KM run at gym. While this helps a little, no doubt, by the time I have made it to the car, my shirt is wet and my underarm is straining under the pressure. 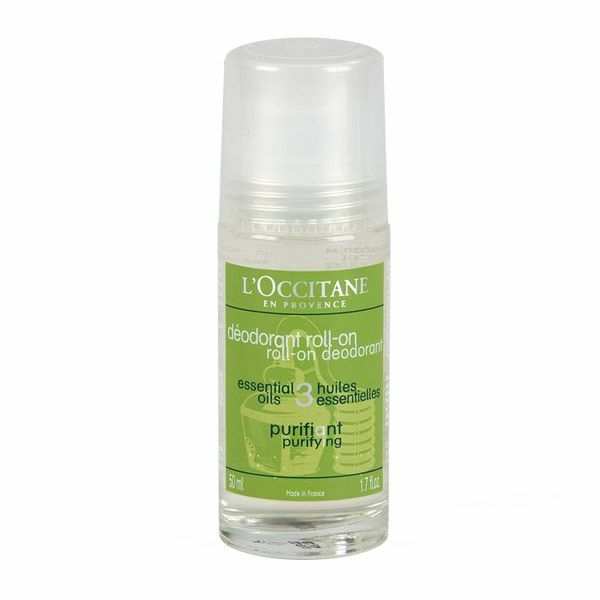 Thankfully, L’Occitane has a solution in the 3 Essential Oils Purifying Roll-On Deodorant. For a strong control under-arm roll-on that leaves no build-up on your clothing, the L’Occitane Purifying Roll-On is the perfect choice. 1. The deodorant is non-allergenic, so no more breaking out in red patches and skin irritations. 2. It is a very effective anti-perspirant, but doesn’t clog your sweat-pores – winner! 3. Its a clear underarm. so it won’t leave a residue build up on your clothing. 4. Its smells very fresh and clean (thanks to the essential oils of lemon peels, lavender, eucalyptus, rosemary leaf & cardamom), but it won’t fight with your cologne or aftershave. 5. Its a natural product – not one that is constructed in a lab (so if its been around and working for more than 100 years, there’s got to be something good to it). 6. No every average joe has it, so if you want something different, then here’s your chance. Try any of the L’Occitane stores (Hyde Park, Melrose Arch, Cavendish, Waterfront, Gateway), and most Dis-chems also carry a limited range. The best chicken Pad Thai in SA – It’s worth flying to Cape Town for. The Scent of Singapore – a collector’s must-have.